Dwyane Wade was sitting stretched out in front of his dressing space in the Bulls locker room late Saturday night after the Los Angeles Clippers came from a first half double digit deficit to defeat the Bulls 101-91. Wade generally speaks with reporters first as other players shower and lift weights. So, a reporter questioned: What happened? There was plenty that went wrong for the Bulls in a season low 30-point second half and 12-point third quarter. 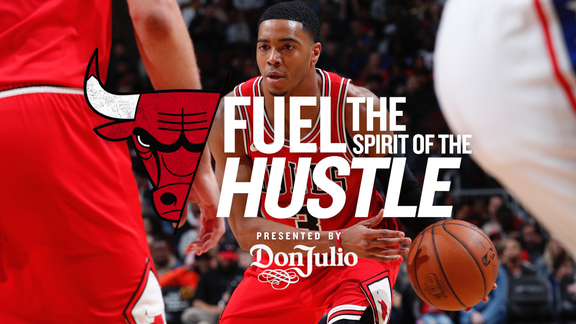 But it was the play of the former Bull, then general manager Jerry Krause’s last great draft pick, who took over the game with 25 points, 17 in the second half as he made 10 of 17 shots overall. That the elusive, sharp shooting Crawford remains highly productive in his 17th NBA season is a testament to his basketball abilities. 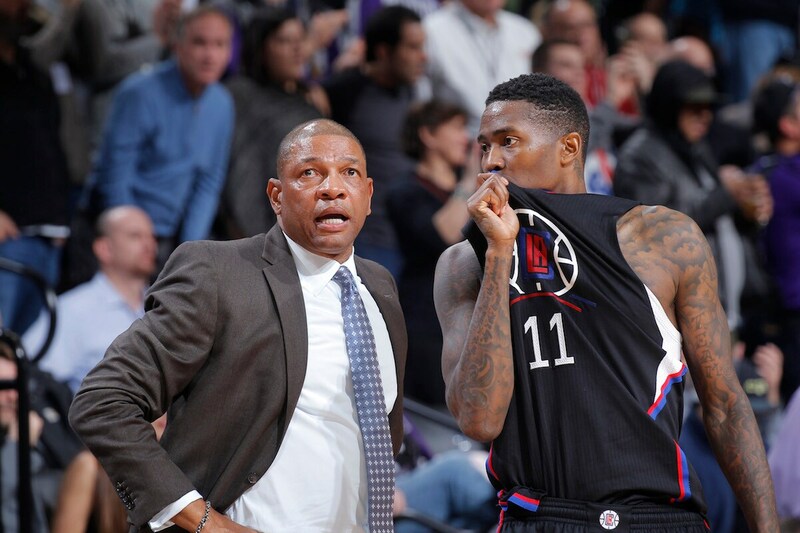 But Crawford also is unique in the way he still approaches the game, his preparation and training, and quietly may be a big answer to why there seem to be so many great NBA players and athletes breaking down before their time despite the world’s best medicine, nutrition and training. While hundreds of players have come and gone in Crawford’s tenure with six teams since 2000, Crawford looks and plays like he did almost two decades ago. Yes, perhaps he’s a physical marvel and exception, a living Fountain of Youth. But it’s perhaps also the elixir of basketball competition that produces his strength and durability. Unlike just about every NBA player, Crawford doesn’t lift weights or work with trainers or spend the summer in building up and strengthening his body. Basically every day all year ‘round. A pickup game wherever he can pick one up. In the summer, every day, during the season, during the breaks. It’s made for a remarkable, if also unexpected, career that has included a record three Sixth Man of the Year awards and the all-time NBA record for four-point plays. 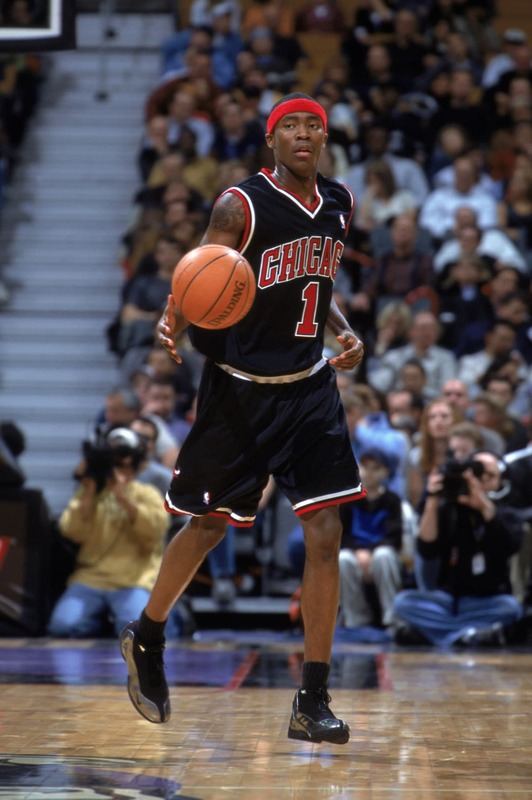 And it all started in the NBA on arguably the most dysfunctional roster in NBA history, the 2000-01 Bulls who had seven rookies, including an amazing six from that draft: Crawford, Marcus Fizer, Dalibor Bagaric, Khalid El-Amin, A.J. Guyton and Jake Voskuhl. Steve Goodrich was the seventh rookie. That season followed the summer the Bulls whiffed in free agency and ended up with Ron Mercer and Brad Miller. The Bulls won a franchise fewest 15 games. It was the tragic lesson of rebuilding with so many young players, much like the 76ers of this era. The Bulls pulled off a draft coup by swapping Crawford on draft night for the rights to Chris Mihm. That was one of the NBA’s poorer drafts with Stromile Swift, Darius Miles and Marcus Fizer the second through fourth picks. There were a few players to make an All-Star team, like No. 1 overall Kenyon Martin along with Jamaal Magloire (19) and Michael Redd (43). But a case could be made given his longevity and production, Crawford was the best player from that draft. 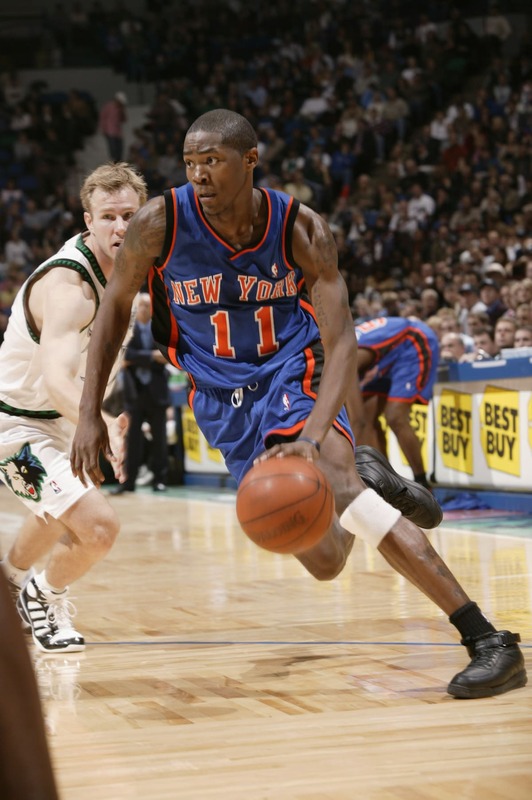 Crawford was traded to the Knicks after the 2003-04 season when the Bulls committed to Hinrich and began a successful run under coach Scott Skiles. 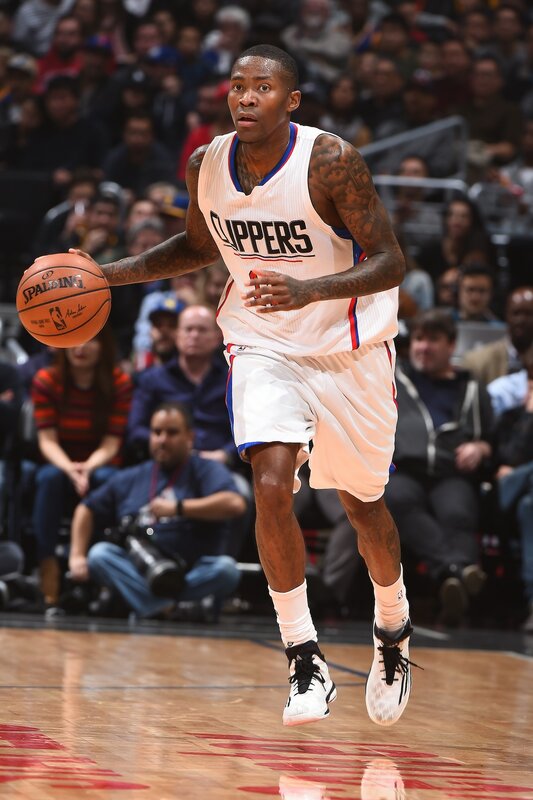 The 6-5 combo guard would eventually go on to play for the Warriors, Hawks and Trailblazers before coming to the Clippers in 2012. And he admits he had some growing up to do as that 20-year-old for the Bulls who suffered an ACL injury his second season. “When you are a rookie you are going through everything for the first time, your first DNP, your first not seeing eye to eye with a coach, first understanding trades happen, guys making more money play more,” said Crawford. “I was overwhelmed. I had a lot of maturing to do. I played two years of high school, a half year of college and I’m a top pick with the Bulls, so I’m learning on the fly. 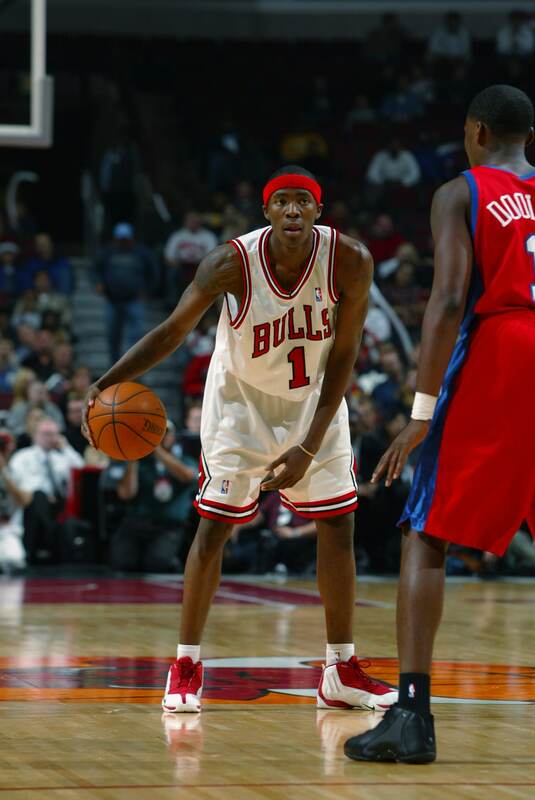 “I played with Eddy Curry twice and in New York, the second time, he asked, ‘Who are you?’” Crawford said with a laugh. “My first to fourth year I was a different person. I started thinking big picture, that maybe I don’t have all the answers. You’re 19, you want to take over the league. But you realize maybe you aren’t the next Iverson or whoever; I had to grow and get lost in that. Looking back now, I had some battles. I found a way to not only survive but thrive. Maybe the skinny one time Bulls rookie knows best.